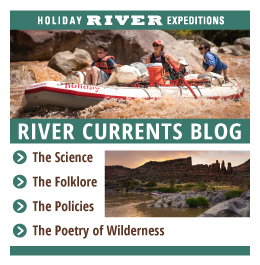 Holiday River Expeditions and their expert guides spun their knowledge about the best white water rafting into five specialty expeditions designed to awaken the senses and recharge the body. 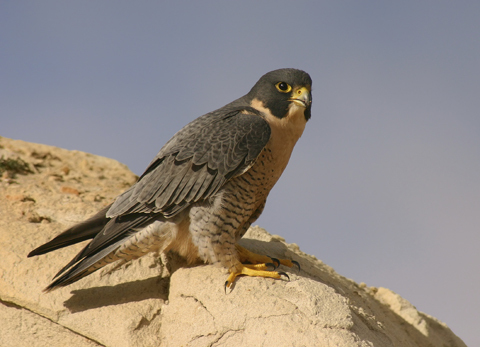 The Birding Field Trip starts the season off with and extended journey through Dinosuar National Monument down the Yampa River with Birding Expert Bill Finnemore Jr. Bill is a field birder and manager of the Wild Bird Center in Layton, Utah. This 5-day trip May 26-30 will give ample off river time to explore side canyons and get deep into the habitat for Lazuli Bunting, Plumbeous Vireo, Virginia’s Warbler, Black-throated Gray Warbler and more. The timing of this trip is in sync with the spring bird migration. Also, the spring runoff. You can expect exciting Class IV whitewater, dramatic scenery and all the thrill that come with this premier Colorado River Rafting excursion. The Lodore Naturalist Full Moon Trip is an intermediate rafting trip from July 3-6 that meets in Vernal, Utah. Available to ages eight and up, this four-day adventure winds through Dinosaur National Monument and into some of the most scenic areas of Utah. This area is a scientific wonderland with a broad variety of native plants, animals and fascinating geological landscapes. The deep narrow walls of the canyon boast some of the most beautiful ravines and chasms in the western U.S. 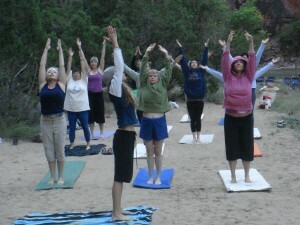 The Women’s Yoga and Writing Workshop is on the San Juan River May 26-30. 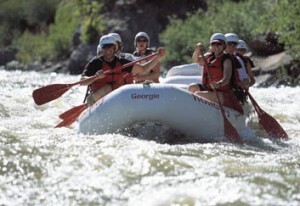 Meeting in Blanding, Utah this five-day tour boasts easy rapids and is available for ages 16 and up. This unique tour focuses on women’s restorative balances, especially those vulnerable to the art of creative writing. The further the river pushes the rafts into the wilderness and away from civilization, the more the mind freely roams. The wild, untamed beauty of the vast, free-flowing river inspires writers. Focusing on restoring the body’s balance through meditative yoga, this calming adventure of self-expression does not focus on structure, but rather invigorating freedom. 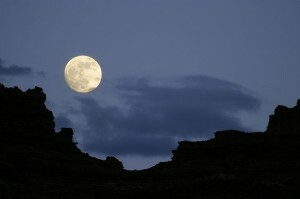 The Cataract Naturalist Full Moon Trip is July 30-August 3 and meets at the Green River in Utah. This five-day Colorado white water rafting excursion has intermediate rapids but is perfect for ages eight and up. The area of the Colorado River Plateau became famous more than a century ago when John Wesley Powell led scientists into the area. Famous for distinct plants and vegetation, a plethora of wildlife and breathtaking natural scenery, this area never ceases to amaze and astound visitors. 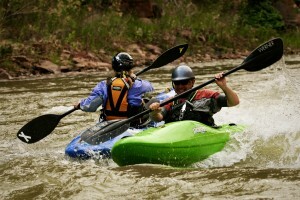 The Kayak Workshop is a six-day workshop in Desolation Canyon, the Green River Wilderness. A minimum age of 16-years-old is required, as well as successful completion of a kayak swimming pool class is highly recommended. 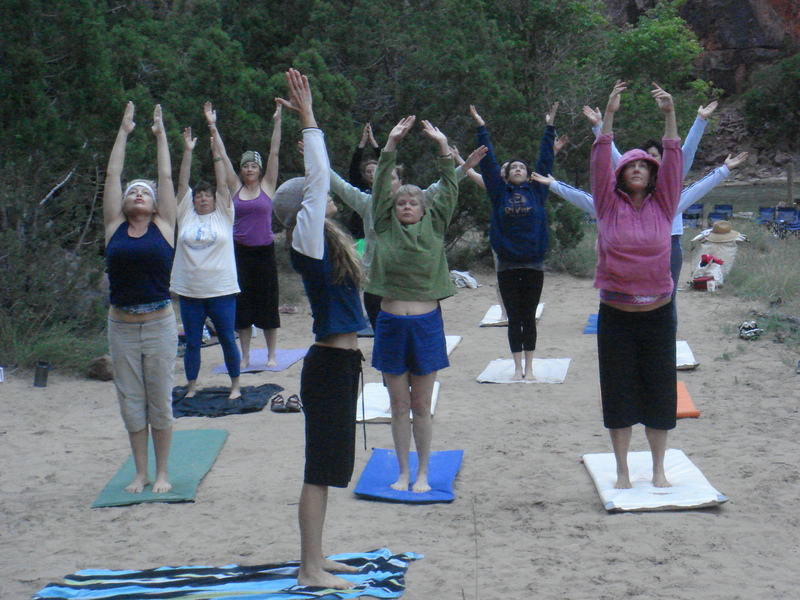 The workshop winds through the Green River’s picturesque southwest canyons. The class itself focuses on using the equipment, what to expect on the river, kayak safety, tips about getting in and out of the kayak, learning forward and reverse strokes, how to react when the kayak rolls over, how to ride river rapids, sculling and the basics of learning how to roll a kayak. 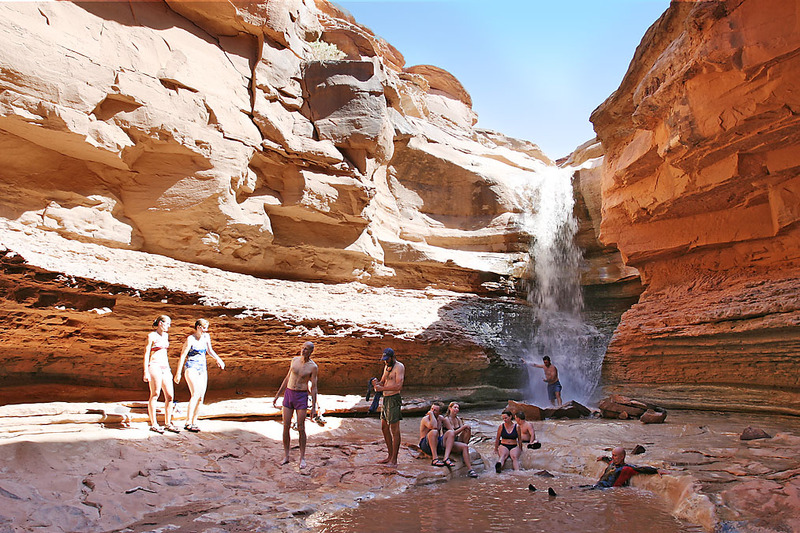 The Fall Extended Hike and Rafting trip through Cataract Canyon in Canyonlands National Park is September 23-30 and meets in Green River, Utah. This adventure-filled Utah white water rafting trip is eight days long. 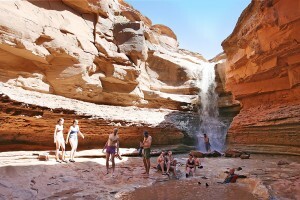 Even people that have already seen the beauty of the Cataract Canyon will enjoy this outdoor adventure, which provides a unique, in-depth view of the canyon’s walls. Once inhabited by ancient Native American tribes, the remnants of their historic dwellings remain, as do ancient carvings and artifacts. The highlight of the trip is hiking from Water Canyon to Dollhouse and becoming absorbed by the shady, almost sinister depths of Dark Canyon. These unique adventures distinguish the highly skilled, talented guides at Holiday River Expeditions. Helping create memorable vacations and whether it be instilling, reigniting or affirming a passionate love of the outdoors, these dedicated guides turn these experiences into memories that will last a lifetime.